Our goal is to connect people with the best local experts. 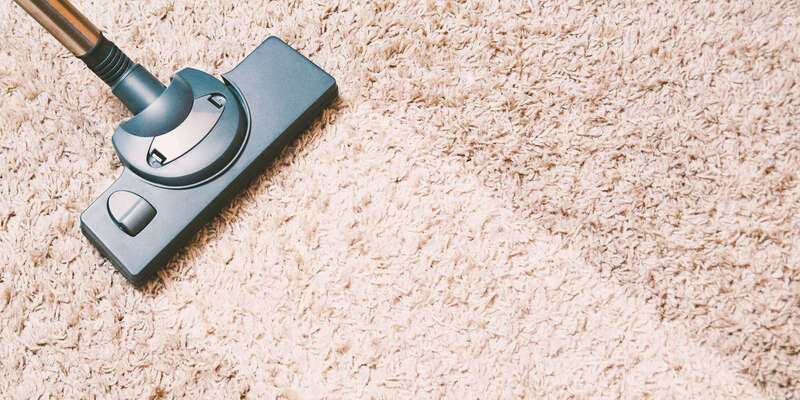 We scored carpet cleaners on more than 25 variables across five categories, and analysed the results to give you a hand-picked list of the best carpet cleaners in St. Louis, MO. ABC Chem-Dry has worked in the St. Louis Metro area since 1984 when it opened in St. Charles. The business specializes in using certified eco-friendly chemicals to remove allergens and bacteria from homes’ and businesses’ carpets. ABC Chem-dry is accredited by the Better Business Bureau, and led by Master Technicians. All staff members are licensed, insured, and certified by the Institute of Inspection Cleaning and Restoration Certification. Amant’s Floor Care, based in Wildwood, specializes in cleaning carpets. However, the staff also cleans upholstery, vinyl, tile, hardwood, and even marble floors. All technicians are certified by the Institute of Inspection Cleaning and Restoration Certification as well as the National Training Center. Amant's Floro Care has won Angie’s List’s Super Service Award multiple times for carpet cleaning and hard surface cleaning. From its Collinsville HQ, Bio Fresh Carpet Cleaning & Restoration sends cleaning technicians to properties throughout the greater St. Louis community. The business offers specialty services, including bio-hazard and crime scene clean-up, mattress cleaning, and hoarding clean-up services, designed to help hoarders declutter their homes and businesses. Water damage restoration services are also available. Carpet Care Plus has provided St. Louis area carpet cleaning and related services from its O’Fallon HQ since 2001. A Certified Master Rug Cleaner leads the service team, which is certified by the Institute of Inspection Cleaning and Restoration Certification and the Association of Rug Care Specialists. Carpet Care Plus specializes in applying Scotchgard brand carpet protectant chemicals. Carpet Masters Flooring Co. is a Chesterfield company with customers all around the St. Louis Metro, and it offers a range of services relating to commercial and residential flooring. The specialists at Carpet Masters Flooring Co. can install and replace carpeting, hardwood, laminate, and tile, in addition to other materials. They also clean air ducts and area rugs. Carpet Masters Flooring Co. is accredited by the Better Business Bureau. Complete Carpet Cleaning is a St. Louis carpet cleaning service provider that was founded in 2007. Its carpet care crews, using truck-mounted steam cleaning technology to service residential and commercial carpeting, are certified by the Institute of Inspection Cleaning and Restoration Certification. They can clean upholstery in homes and businesses, and can clean the interiors of cars, RVs, and boats. Dave’s Carpet & Window Cleaning in St. Louis has operated in the city and its suburbs for a decade, specializing in eco-friendly home cleaning methods. Using products that eliminate allergens and irritants without introducing harmful synthetic chemicals, the team at Dave’s Carpet & Window Cleaning services carpeted floors, tiled floors, mattresses, and upholstery. Fresh & Clean Carpet Cleaning St. Louis offers the safest carpet cleaning methods as an established leader in green floor cleaning in the St. Louis area. They have a reputation for tackling the toughest jobs in both residential and commercial settings. In addition to expert carpet cleaning, they offer tile and grout cleaning, pet odor removal, upholstery cleaning, and rug cleaning. They also provide services for the care for hardwood flooring and leather pieces. The staff is IICRC certified, meaning they are trained in established green methods within the field. The products and process are totally safe for people, pets, and the environment. They utilize a technologically advanced truck-mounted system, and they guarantee customer satisfaction, relying on superior customer service and upfront pricing to win customers' trust. Hyper Carpet Cleaning is a St. Louis company specializing in carpet cleaning. Using truck-mounted steam cleaning equipment, Hyper Carpet Cleaning delivers its sanitization, stain removal, and deodorization services to customers throughout the St. Louis Metro region. The business’s specialty is servicing the floors of restaurants, clearing away grease and other resilient messes. Just-in-Time Professional Services, in Ballwin, specializes in removing stains from carpets. Staff cleaning experts can eliminate set-in splotches caused by pet urine, wine, punch, lipstick, and crayon. They are also available on a 24/7 basis to repair and restore carpets that have been affected by fire, smoke, or flooding. Based in Florissant, Kounty Cleaning is a St. Louis Metro provider of carpet cleaning and related services. Its staff members belong to the Building Service Contractors Association International, The Worldwide Cleaning Industry Association, and The Janitorial Store. Primarily Kounty Cleaning serves property managers. McCall’s Carpet Cleaning Service in St. Charles provides carpet cleaning and other home cleaning services to customers throughout the St. Louis Metro area. A multiple-time winner of Angie’s List’s Super Service Award, the business uses Von Schrader-brand cleaning products that are designed not to harm children or pets. McCall’s Carpet Cleaning Service works primarily with commercial clients. Business owners and property managers who have used the service praise the cleaning technicians’ thorough work and their friendly, trustworthy customer service. Niewald Carpet Services in St. Louis has operated throughout the area for more than 20 years. Areas of expertise include cleaning and restoring of carpets, tiles, and upholstery. Niewald Carpet Services is accredited by the Better Business Bureau and has received certifications from the Institute of Inspection Cleaning and Restoration Certification, The Clean Trust, and The Carpet and Rug Institute. The company serves customers throughout the city and nearby suburbs. Precise Carpet & Upholstery Cleaning, a small business based in St. Charles with clients throughout the St. Louis Metro area, employs a team of technicians who are trained and qualified to clean rugs, upholstery, air ducts, and tiles, as well as carpets. Precise Carpet & Upholstery Cleaning is certified by the Institute of Inspection Cleaning and Restoration Certification, accredited by the Better Business Bureau, and awarded the Seal of Approval from The Carpet and Rug Institute. Pro Steam Carpet Care & Restoration is a St. Louis company. Its staff technicians are qualified and insured to clean not just carpeted floors, but also hardwood floors, upholstery, tile floors, and air ducts. Pro Steam Carpet Care & Restoration is accredited by the Better Business Bureau and offers discounts for multi-room carpet cleaning services. Sams Carpet Cleaning & Repairs, founded in Saint Charles in 1985, provides carpet care services to families, businesses, and apartment building managers in St. Louis and the surrounding area. The company emphasizes an educational approach to customer service, helping clients make a decision rather than convincing them to pay more for services. A Certified Master Rug Cleaner supervises the technical team, which is certified by the Institute of Inspection Cleaning and Restoration Certification and the St. Louis Apartment Association. The Spot Man Creative Carpet Care is a Valley Park business that specializes in commercial carpet care. On-call cleaning professionals are exceptionally qualified to clean carpets in high-traffic properties such as hotels, restaurants, and retailers. The full-time crew at The Spot Man Creative Carpet Care is licensed and insured, with certification from the Institute of Inspection Cleaning and Restoration Certification. All work is performed or supervised by a Master Textile Cleaner with additional certifications in specific services, such as Odor Control, Color Repair, and Water Damage Restoration. True Clean Carpet is a Maryland Heights carpet care business. Recently voted by readers of St. Louis Home Magazine as the #1 carpet cleaning service in the St. Louis Metro, True Clean Carpet is a small business that additionally provides upholstery cleaning, air duct cleaning, and pet stain and odor removal. True Clean Carpet has won The Carpet and Rug Institute’s Seal of Approval every year since 2008. Winschel Carpet Service began providing carpet care service options more than six decades ago. Now a prominent carpet cleaning business based in the Florissant, Winschel Carpet Service has expanded to offer a range of other services, including cleaning and restoration of vinyl, hardwood, and laminate floors, and cleaning and restoration of area rugs. Winschel Carpet Service stands out from other carpet cleaning services in that, besides repairing and cleaning carpets, the company also sells carpeting products directly. X-Treme Carpet Cleaning, headquartered in Edwardsville, specializes in carpet odor and stain removal. However, in addition to cleaning carpets, the company’s technical staff members also clean upholstery, air ducts, tile and grout, and even hardwood floors. The crew is certified by the Institute of Inspection Cleaning and Restoration Certification.